It felt so freeing to wear shorts in JANUARY. I fully embraced the slight drizzle and 41 degrees with shorts on…. Andrew was proud of me. Gloves are needed all the way up to 50 degrees for me so those weren’t going anywhere and that hat helped with the rain. PS I think more races should give out hats rather than shirts for participating… I use the hats way more than race shirts. There was one section of ice out there that I didn’t expect since it was so warm out and sure enough my foot slipped on it but somehow I didn’t fall. The garbage man that saw me recover and avoid falling on my face gave me a thumbs up for my victory (it took me about 10 steps from when my foot slid to be running normal again without my arms extended in front of me prepared to hit the ground). As I was leaving the house I was just so happy to be in shorts. 12 miles yesterday and 21 the day before. 51 miles in 4 days… now just to condense those miles into 1 day in about 9 weeks. I climbed just over 1,000 feet and that hill at about mile 7 feels like it goes on for eternity. PS I really really need to do a race at sea level. Back in time for when the kids woke up and Andrew made us all some pancakes. 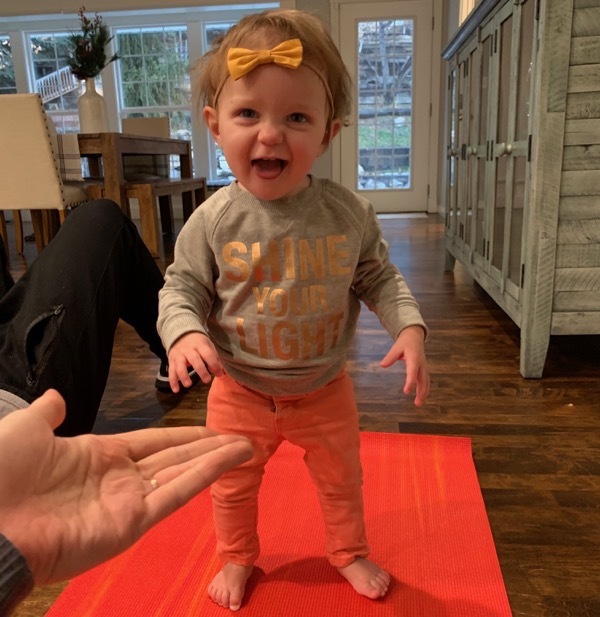 I stretched and Skye worked on building up the confidence to take her first step! For lunch we were able to go out with the amazing Toby! She is an amazing friend and mentoring us with our ultra training:). She has done all sorts of ultras including a 100 miler. 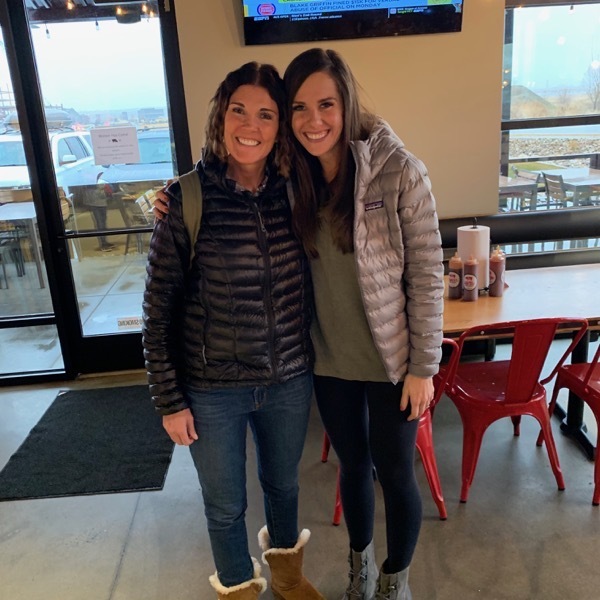 She is the one that really inspired me to sign up for this 50 miler in the first place (she did the one we are going to do). She has 4 kids and is able to juggle it all so well and has helped me feel like it is possible. 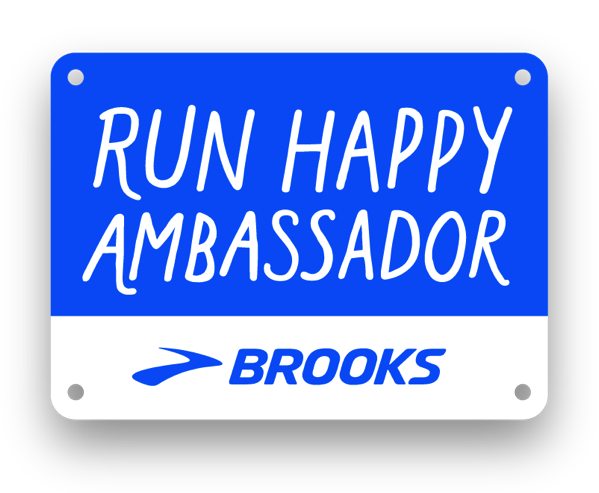 I’ve seen her at different points of MANY races that I have run (including my PR half marathon… she really boosted my spirits there when I wanted to slow down) and I feel very grateful she will be at this one too. 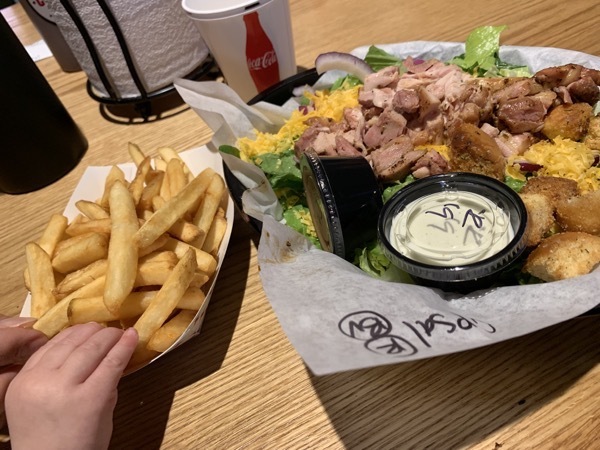 Fries and salad, one of my all-time favorite meals. We played hard, had family night and went to bed early because this is a requirement with all of this running:). 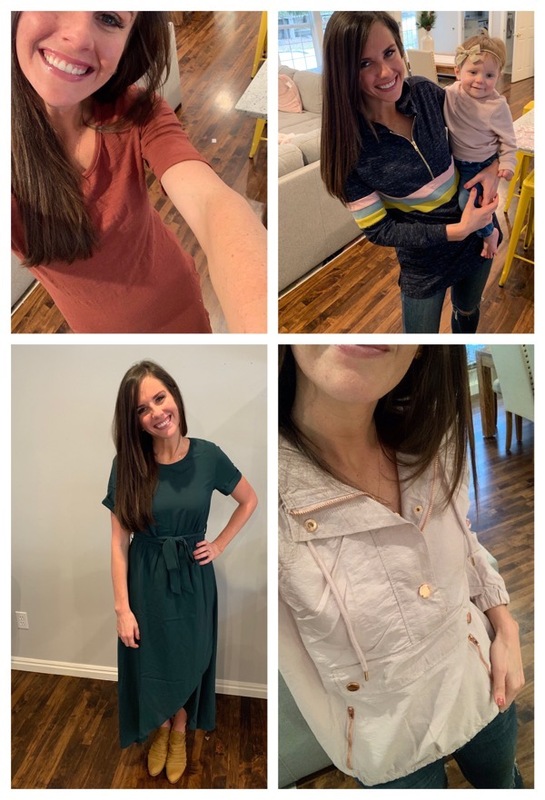 *I have some new Roolee items I am in love with (use the code hungryrunner15 HERE for 15% off your next order on anything until 3/1/2019). *I found the thing I am going to start to save up money for… Can you even imagine how nice it would be to have a machine that folded your laundry for you? *I’ve told you about my gloves before but I really think I need to give another shoutout to them for getting me through this winter. EVERY other pair of gloves I have used on the run have resulted in at least a few days where I couldn’t feel my fingers because they are so cold. Not these beauties. Not once have I experienced my fingers feeling anything but alive and happy:). I run in the teens with them and my hands are never cold. 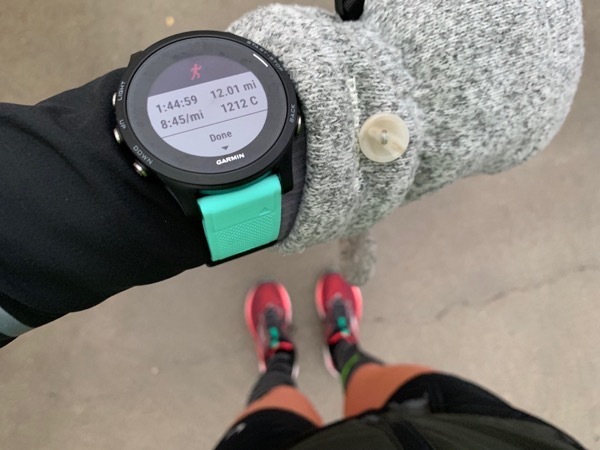 I put in a hand warmer on the really cold days and they are just kept so toasty the entire run but they stay toasty without the hand warmers on anything 20 and above. They have entered the stage in my world where they will be worn every run when it is cold until I either lose one or they get holes in them from overuse. *DID YOU HEAR ABOUT JASMIN PARIS? She crushed the record (for men and women) by TWELVE hours and even pumped at aid stations along the route. SHE. IS. AMAZING. Don’t you love how many amazing women runners like Jasmin that we have to look up to? Story here. 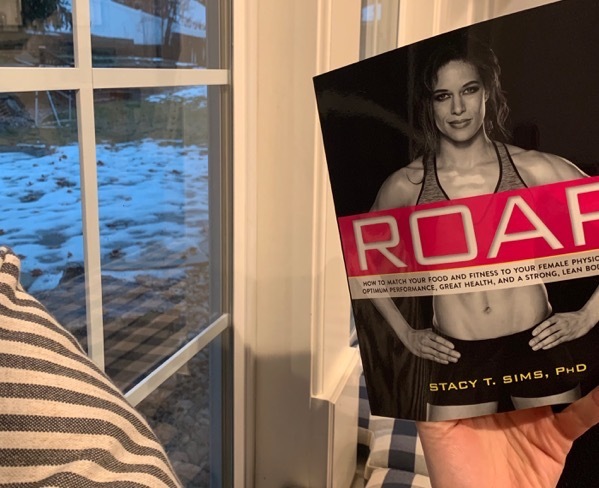 *I’m a few chapters into ROAR and it is super interesting. I’ll give a full review of it once I am finished but I am loving learning more about my body/hormones/etc and it’s needs during my cycles/pregnancies/everything. Do you use the things that races give you in the SWAG bags? Shirts, hats, jackets… other? -I have a rain jacket that I use from a race often and the hat from the Revel race gets used often too. What are your weekend plans?! Anything you are looking forward to? Ever had a friend help pace you for any of your runs or workouts? After our conversation yesterday about cookies I would love to hear your thoughts on raisins in cookies… do they belong or no way? My husband bikes with me on a few of my runs….he is a great pacer. 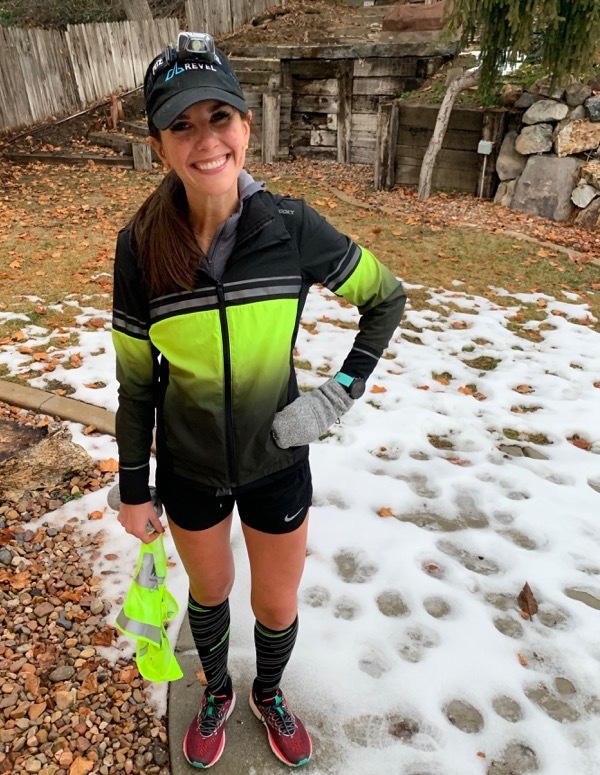 This weekend is running and trying to stay warm…..our weather keeps swinging here, tomorrow is rain, and Sunday night is like 17 degrees. Ugh. Raisins belong in oatmeal cookies for sure! I LOVE that he does that… I love it when Andrew does that! STAY WARM and drink some hot chocolate! Good Morning! What size did you get in the blush Morris Jacket? Love it! It’s such a great jacket… I’ll wear it a ton this spring too. I got it in a small:) . Have a fabulous weekend Anna! You look so adorable in your first running picture. I love your socks and whole outfit. You look truly elated! I think that 4 day span should give you tons of confidence in 9 weeks!! Oh thank you! It just felt so good to have fresh air on my legs ha.. and then we got more snow today;) . I wish we could join you on your snowy hikes. Have a wonderful weekend Amanda. My free hat from Dublin donuts at the nyc marathon is my favorite thing. ANDREW WOULD LOVE TO GO TO THAT… let me know how the Harry Potter Section is. Enjoy and have some chocolate cookies asap. Thanks, you too! I said it before and will say it again, you are a freaking STUD!!!! You’re killing those miles, sister. And I’m with you on race t-shirts. I rarely ever wear them, unless they’re dri-fit and v-neck. I’m a little picky, haha. I like oatmeal cookies and prefer them without raisins. :) I have a three-day weekend, and I’m looking forward to some actual sunshine and resting/spending time outside!! Hope that y’all have a great weekend, Janae! THREE DAY WEEKEND + the rain stopping… ENJOY every second Natalie! I am a firm believer that raisins don’t belong anywhere near a cookie! 😉 Hope you and your family have a good weekend. But you need to try my grandma’s oatmeal raisin cookies:) . I kid… I completely understand firm opinions on different foods. Thanks Kimberly… YOU TOO! I think hats are the best from races too! Or pullovers, a race here in Baltimore gave out nice purple ones in December and they are great! Oh that pullover sounds awesome… MORE RACES NEED TO DO THAT:) . Have a great day Mariah. If I get a tech shirt from a race I will wear it for years; if it’s a cotton t shirt, I usually don’t. I love running in my half marathon shirt because it reminds me of what I’ve alrwady done. My dad is visiting me this weekend! I haven’t lived close to my family in years so I’m really excited about this development. It wasn’t planned but has worked out perfectly! Have the best time with your dad this weekend, that sounds perfect. I hear ya… raisins are delicious! Tidying Up is so motivational! It’s helped me focus on the stuff I really want to keep, let go of the clutter and be more intentional with my purchases. LOVE IT! YES… I was thinking that a few days ago at Target! It is helping me not grab the extra stuff I don’t really need. Have a wonderful day Elizabeth! Oooooooo ROAR is a great book. 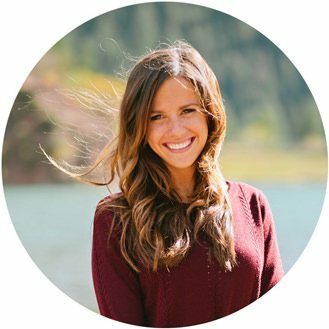 Her tips for improving performance the week before your period are so valuable – the baby aspirin has been a lifesaver for me. Congrats to Skye on that first step! She’ll be running before you know it. I need gloves before I need a long sleeve shirt. Last fall I did a running race in shorts/tank/gloves. I sure looked cool I bet. Awesome… I cannot wait to get to that part! Hahaha she really will be. I hope the extra five minutes today feel amazing! YOU DID.. that is my favorite race weather/outfit too! Raisins absolutely do not have any place in cookies or any other desserts. Clearly this is something I’m passionate about haha ;) there’s just nothing much worse than biting into what you think is a chocolate chip cookie and having it be a raisin. The amount of disappointment in that may require therapy lol. Most of my recent swag bag shirts are the shirts I use when we are camping or doing messy projects. My head is too small for hats bigger than child size so sadly I can’t use those. 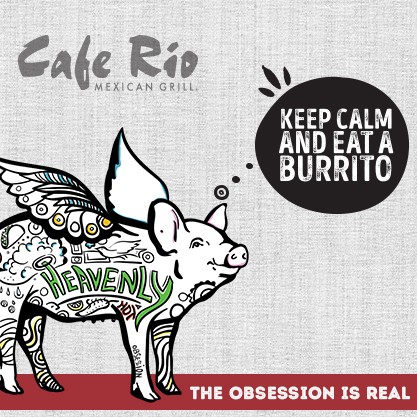 I totally understand your passion about food decisions like this… I get it! I have the opposite problem ha… hats do not fit me unless they are adjustable and I can set it to the largest size! 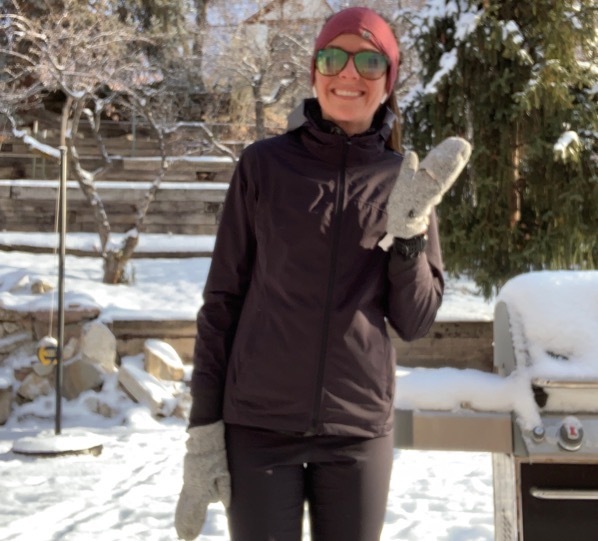 Have a wonderful weekend Jenny and stay warm (PS Provo canyon is STILL closed). I was wondering what kind of socks you have on in your shorts run pic? Are they compression socks? Also– I fully believe mittens keep your hands 24 times warmer than gloves. It’s something about keeping your fingers all together to get the heat off each other! I think your hat vs race shirt idea is a wonderful idea. I have so many race shirts that I feel like I need to hold onto and I never wear, haha! I don’t really use anything else from the SWAG bags. My weekend plans->6 mile run at recovery pace (HR < 145) to keep in recovery mode from my race last wknd. And then my run group is doing a surprise bridal brunch for our friend who is getting married next wknd. We all got run tanks that say bride tribe and one for her that says bride and we're going to do brunch after our run with cupcakes and all that so I'm super stoked!!! Your run group sounds like a blast, I want to come! Bribe Tribe… okay, that is the best. ENJOY! I would love to get hats from races! I would wear those all the time! I very rarely wear the shirts from races, but my husband wears his all the time. One race gave out light weight 3/4 zip pull-overs, that was really nice and I still wear that. We’ve had a lot of rain the last few days, which means my favorite trail is super muddy! I’m really tired of running on the hard surface of streets and sidewalks, (and the treadmill) so hopefully the trails will dry up by Sunday for my 12 mile run… fingers crossed! Yay for you being able to run in shorts in January!! I just had trail mix last night with raisins and I agree, they taste so good in there. Have the best time with your sister… that’s the best! I hope your 12 miler on Sunday is perfect and dry. Thanks Wendy, you too. I just have to say how super jealous I am of your ultra!!! I also finally achieved my marathon goal last fall and feel satisfied with that so I was wanting to either focus on a new half PR or running further! This year may be the year for some serious half training but reading all your ultra posts is making me want to find one really bad!!! Probably also partially driven by the fact we are buried in snow and I haven’t run outside in almost 2 weeks and more snow is coming tonight! All these treadmill miles are making me crazy (but on the upside – I have been killing it on Netflix). WAY TO GO ON GETTING YOUR MARATHON GOAL.. that is so great and I totally know what you mean about feeling fulfilled and going for a new goal. Let me know what you end up deciding and I’ll cheer you on! Hopefully you get to get outside soonish and how did we used to run on the treadmill without Netflix? Thanks Meg, you too. If race shirts are good tech material I might wear them but not usually. I love hats, buffs and beer glasses. We have just a few Revel hats. We’ve only run one Revel race so far (another upcoming) but my husband ordered extras. For $5 you can’t beat it!! 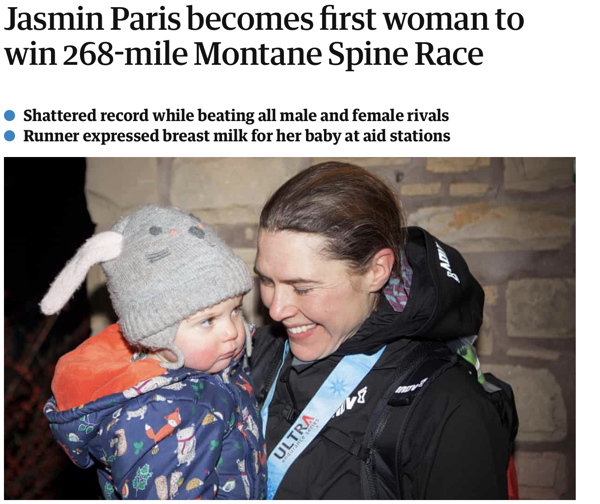 I’m sure pumping milk at aid stations was as much for her benefit as her baby! All I can say about running when still breastfeeding is Ouch! PS- your head tilt is cute. Carry on. Did you see in another comment that Revel might start giving out GOODR glasses with the race?! Great idea to get extra Revel hats. Which Revel are you doing next? I totally agree… she should get another medal for this accomplishment. Oh thank you:) . Have a wonderful weekend Angie. I cannot imagine pumping during ANY race, but this? Next level, for sure! I have a date with a bunch of girlfriends for hibachi dinner Sunday night! Hope you get a few more shorts-weather days! BLANKETS…. Sign me up. That is an awesome idea. Have the best time at dinner with your girlfriends, that sounds perfect. Sadly it snowed again today but I did wear shorts on the treadmill ha. Have a wonderful weekend Corey. I’ve read Marie Kondo’s book. I need to watch the Netflix show. I need to be inspired to purge stuff…we are moving to a new house soon!! My best half marathons were the ones where a friend or two paced me for the first half or more. I love having company for a hard workout. Makes it go by so much faster. No raisins in cookies EVER!! I’m going to get that book. Thanks for the recommendation! Rumor has it that REVEL is giving out a pair of Goodr sunglasses in their swag bags for 2019. I definitely don’t hate that! NO. WAY. That is awesome!!! Thanks for letting me know! I have to admit, I’ve actually done a few races simply for the swag bag items !! Weekend plans – snow storm coming…not fun !! But packing and getting prepared to leave on our Caribbean cruise next week. YAY. Water slides, sun, beaches and swimming with dolphins…here we come !! Cookies – ok back to your sisters chocolate chip thing. We do not love alot in ours, but maybe more than 1. 4-5 chocolate chips per cookie is plenty for us. Um, raisins. Sometimes they can belong in an oatmeal cookie. Sometimes. But I really prefer chocolate chips (just a few) in with my oatmeal cookies. So if I had to choose a yes or a no on the raisins, I’d say no. Haha that is awesome and I want to go to those races for their swag… they must be good. CRUISE TIME. Have the best time ever… Let me know how it goes when you get home and get in some sunshine for me! Thanks Michele. Skye’s first step! How exciting!! Like someone else said, if I get a tech shirt, I’ll run in those for years. Basically until the stench is too bad and then they just make their way to the bottom of my bottom drawer, ha! The cotton ones immediately become sleep shirts or bum around the house/Saturday shirts, which I actually like. I probably wouldn’t use hats that much to be honest. I have two go-to hats and they are both Disney hats. I pretty much hate wearing anything on my head while I run. I get too hot. Then again, I’ve never run with any head tech gear, so maybe if I got that in a swag bag, I’d try it and feel differently? I’m intrigued by the book suggestion. Not jut for running (which is currently off the books for me…STILL…wwwaaahhhaaaa!!! ), but just in general. Middle age as a woman is no freaking joke. I think I’m going to look up the audiobook to listen to for all my treadmill walks/spin bike sessions. Also, I have been wanting to watch Tidying Up but I have the same problem. Just thinking about sitting down to watch a show about cleaning up stresses me out because I feel like “Shouldn’t I just get up and clean instead? ?” Ha! So glad someone else thinks like me. Okay, I’m adding that to my Netflix list today, Janae. Thanks for the suggestion! You are not a baby… we are all ready for some sunshine! It can’t come soon enough! You really should get this book because she talks all about that… why do we have to go through so many changes?! Let me know what you think of Tidying Up, I hope you like it. Very good point about raisins in the cookie hahahahaha! Thanks Michelle, you too! Runners who pump at aid stations are super human to me, women really are amazing! I totally agree… they deserve another award just for doing that. Let me know if you read it and what you think:) . Have a wonderful day Beth. Race goodies are hit or miss for me. I have a collection of shirts that I will likely never wear. Honestly, I’d wear them more if they were actual t-shirts and not the technical tees. I get a lot of those and they never fit like I want them to. I do like when I get jackets though! Iowa is expecting another winter storm starting tonight through tomorrow morning, so my weekend plans depend on how bad it gets. If it’s not terrible, I have pedicure/crafting/food making time planned with friends! I hope it works out. Raisins only belong in oatmeal raisin cookies. Other than that… no. Have a good weekend, Janae! I hear ya… the shirts never fit me very well. Stay warm this weekend and hopefully you get to go out with your friends! Thanks Rhiannon, you too! Love visors with elastic band in race swag but rarely given. Hats are always too big for my head. 27k long run on tap for tomorrow as part of Boston build. I think raisins only belong in biscuits, not cookies! You are brave Janae to wear shorts! 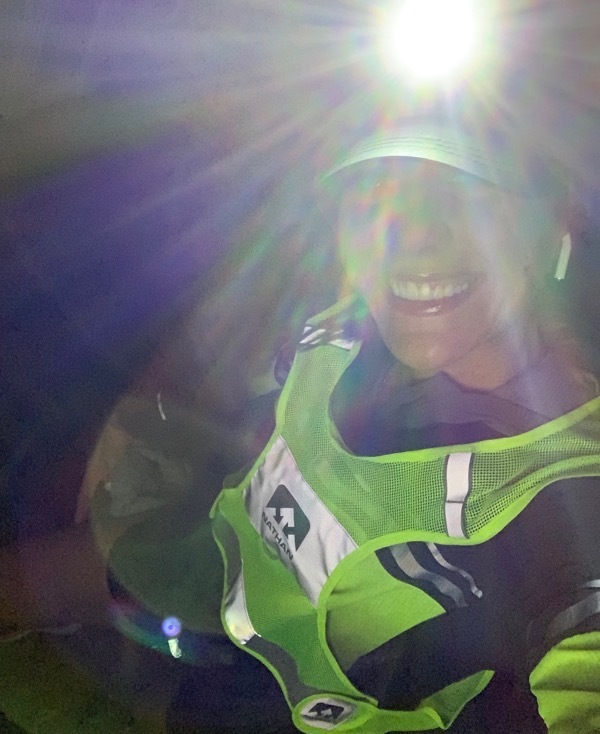 I’ve never had a visor in my race swag… I’m jealous! I want one. Have an amazing long run tomorrow and I hope you have great weather. PS I need to try a biscuit with raisins. Have a wonderful day Jennifer. We are supposed to get a huge snowstorm and temps in the single digits, so weekend plans are simply to stay warm! I love raisins in everything. Oh thank you! Stay warm this weekend and enjoy lots of cuddling and some soup:) . Happy Weekend Stacey. Where are those fries from? They look delicious! R&R BBQ in Pleasant Grove. They are HEAVEN. Glad you’re enjoying the weather a little more! Here it was cold on my run on Wednesday (okay like in the low 40s, that’s cold for Florida) but today it was sunny and 70! This weekend it’s supposed to drop back down to the 30s, though. Not looking forward to that. My two favorite running shirts I actually got from races! I agree that a hat would be nice though. My weekend plans are working tonight, laundry tomorrow, and making apple-cranberry pie on Sunday! Simply because I want to get better at making pie. Oatmeal raisin cookies are very underrated. Well, actually, I think a lot of people really like them, but a small portion of the population hates them so much (coughGROWUPcough) that they just seem underrated. I went for a very short run this morning with my dog and I’m starting to get a little faster and also running just a bit further. 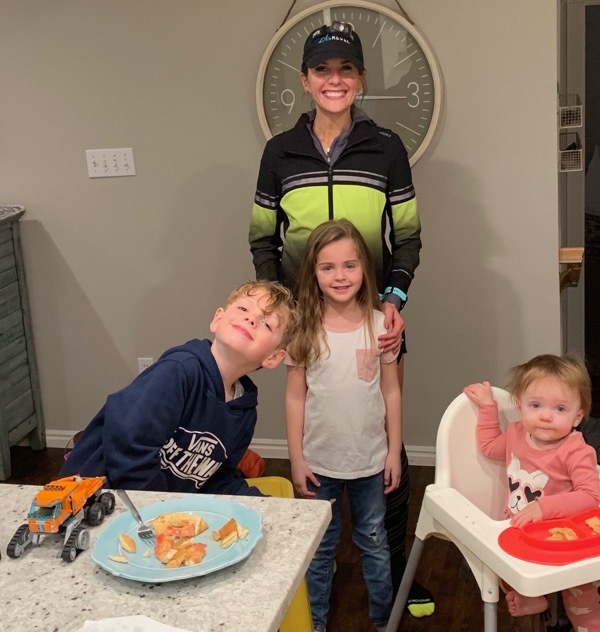 Amazing that I ran a marathon at 10 weeks pregnant and 7.5 months after birth, I’m still recovering… but I’m just happy that my body is on the mend! Had lots of healing to do in between. I’m also glad that I went this morning bc it is now dumping big flurries over here! I love most race swag, especially once they switched over to tech materials over cotton. I never wear those anymore. Funny how in high school I wore cotton soffe shorts and big cotton t-shirts… now i’m sure high school runners wear lululemon and cotton is the furthest thing from their running wardrobe. Amazing how far we’ve come! Raisins don’t belong in cookies… I’m very picky about my raisins… whenever I eat Raisin brand (which doesn’t happen very often), I would only have one raisin per spoonful and pick out the rest. BUT I do love CRAISINS and love a good craisin and white chocolate cookie! Skye is going to be taking off in no time!! 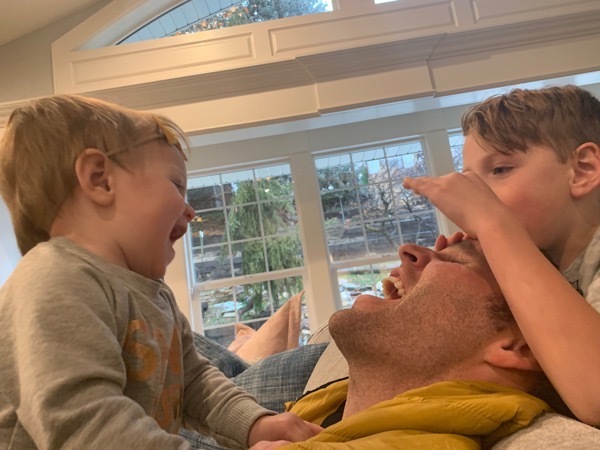 My husband is in NYC this weekend so I am on my own with the kids. My son has a robotics tournament this weekend, so I will probably drop him off, go for a run, and then watch his tournament. Hopefully we’ll get some naps, movie watching, and snuggles in too! I try and run with faster paced people at least once a week! It’s sooo helpful! I like raisins, but never in cookies!! Can you tell me which Garmin watch you are wearing? Do you like it? I’m in need of a new one ASAP. Thank you! She is using the same watch I have, Garmin Forerunner 935. She had mentioned it in a prior post. I see it on Walmart.com for $419, cheapest I’ve seen it online. Also check out the Garmin running dynamics pod to pair it up with. I don’t know if I should curse you or thank you for the Roolee discount, because I REALLY don’t need to be buying any more clothes right now. ; ) Question for you: is the Morris Hooded Jacket rain-proof? I’ve been eyeballing the Olive colored one. BAHAHA I don’t think it is rain-proof… maybe a little resistant but I wouldn’t rely on it to keep me dry if it is pouring out. Does that make sense? Oh I want the olive one too! you must put the fries on your salad! That is how we eat salads in Pittsburgh! So yummy! I think you might have just changed my life. I will try this tomorrow. THANKS TERRI! I like to receive long sleeve shirts, but I have a lot of them now so I have been giving some away. Hats are great too, but I also seem to get those often from races. My favorite post race item–fleece blanket instead of the space wrap blanket! I have several of these now too, but we keep some in the car to put down for soggy kids or wet dog or just to wrap in during cold sporting events. I also use them on the furniture that the dog often sleeps on. They are awesome – study and so easy to wash! Totally with you on the race hats idea – or race socks, mittens, etc – let’s just get some more variety! My weekend needs to include learning about this Jasmin superwoman, apparently. And we are going to a home remodeling showcase just for fun. Yes! My husband paced me for a 5k and it was awesome to not have to even think about my watch. Just keep up with him! Like someone said, if I thought I was going for chocolate chips and got raisins, I’d be bummed. But I LOVE oatmeal raisin cookies AND I love baking raisins into brownies! I have my son on board with that, too, now!